Recognized Industry Expert in Robotics, Modeling, and Controls join Florida Robotics Board. Melbourne, FL - (December 11, 2018) Tomahawk Robotics, a proven innovator committed to bringing advanced robotic control systems to enterprise markets, announced that Gary McMurray will be joining its Executive Board. Gary McMurray has led the development of advanced robotic systems for the food, transportation, and biomedical industries. He leads GTRI’s Food Processing Technology Division that conducts significant industrial research under Georgia's Traditional Industries Program and leads efforts for identifying and marketing new research opportunities. Currently, he has secured two patents, authored a book chapter on robotics and automation for poultry processing and published more than 50 articles in peer-reviewed journals and technical trade magazines. He also served as Georgia Tech’s Interim Director of the Institute of Robotics and Intelligent Machines. In addition to his work at GTRI and Georgia Tech, Gary is a Board Member of the Robotic Industry Association representing academic and research organizations. RIA is a not-for-profit trade association dedicated to improving the regional, national and global competitiveness of the North American manufacturing and service sectors through promotion and enhancement of robotics and related automation. RIA represents over 550 robot manufacturers, system integrators, component suppliers, end users, consulting firms, research groups, and educational institutions. McMurray’s research focuses on the development of robotic technologies and manufacturing solutions for the agribusiness sector and the Department of Defense. He is recognized as an expert in visual servoing, the use of vision for real-time control of robotics. “We are extremely pleased to have Gary join our board. He brings a wealth of robotics expertise and industry insight to our team,” said Brad Truesdell, Co-Founder, and CEO of Tomahawk Robotics. “Gary has a depth of robotics expertise and application of robotics technology that is extremely rare. He immediately understood what we are doing as a company and the market need we are addressing with our Kinesis software.” Conceived as a robotics extension to IoT, Kinesis enables true collaboration of multi-domain robotic systems...air, ground, and maritime...enabling the use of robotics by reducing costs and making robotic systems easy to use. 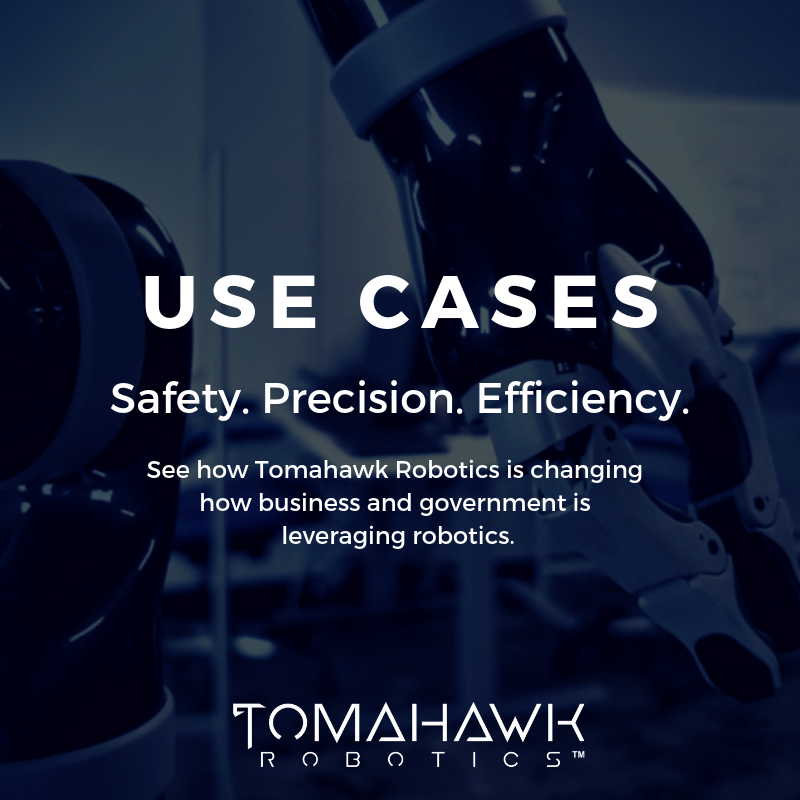 For more information, please visit tomahawkrobotics.com.